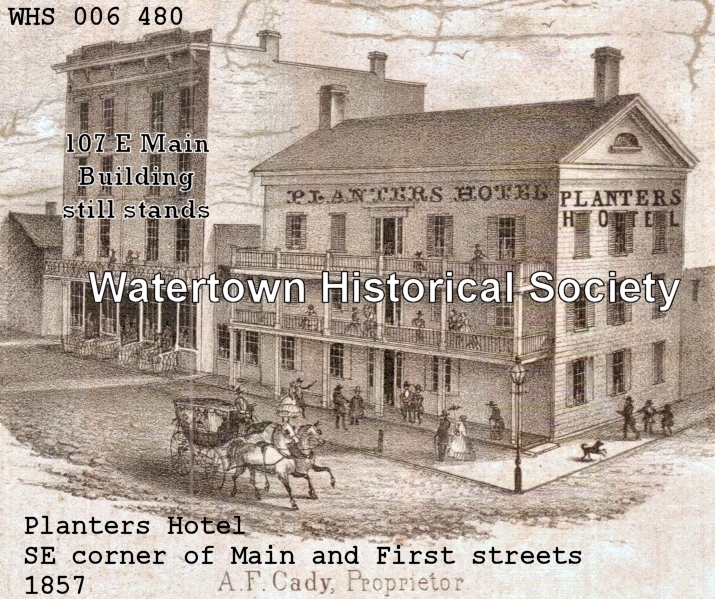 The Planters was the second hotel to open in Watertown and was built in 1843. The Planters Hotel was located on the southeast corner of Main and S. First St. and burned to the ground in 1869, at which time it was known as the Robinson House. It was directly across the street from the Rock River Hotel (later became the Exchange Hotel). It is not the same as the Carlton . 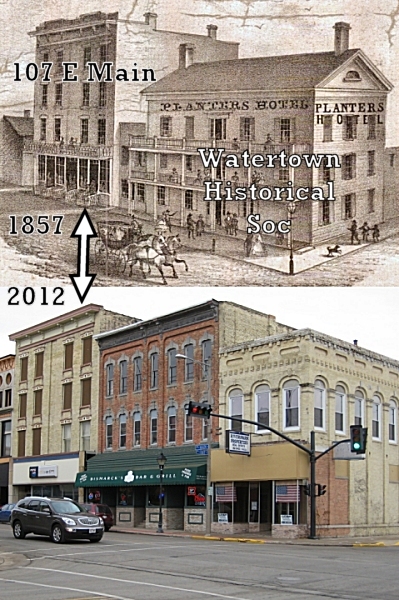 2012 101 E Main location, compared to 1857.